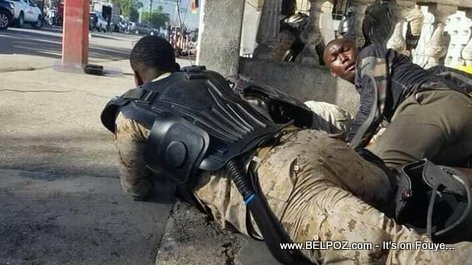 Saint Marc Haiti, people are running away from the city, Jean Monard Metellus of Radio Caraibes FM said Saturday, out of fear of what may happen on 18 November 2018 street protests. Rete... Nan kisa n pran la a? If you ask my honest opinion, this is Terrorism! Definition of Terrorism: "the unlawful use of violence and intimidation, especially against civilians, in the pursuit of political aims."